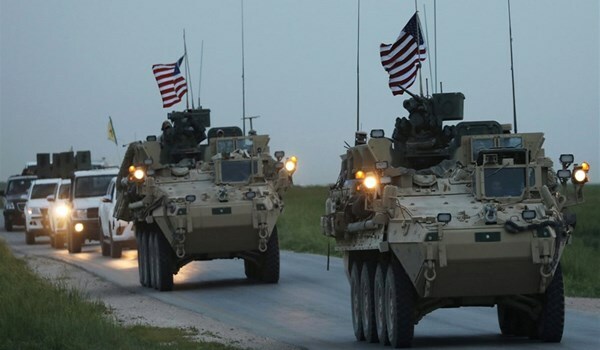 The US administration has supplied terrorists of the Kurdistan Workers’ Party (PKK)’s Syrian affiliate, the YPG, with a sum of 500 truckloads of weapons in Syria’s Manbij in the past week alone. The US forces in Syria’s Manbij have provided the YPG/PKK terrorist group with new construction equipment, allowing the militants to continue digging up trenches and build embankments around the town center. Trucks, carrying four construction vehicles, were transported to Manbij. The US soldiers escorted the transfer of the construction machinery, which included 3 bulldozers and one excavator. The YPG/PKK uses bulldozers and excavators to dig up trenches and embankments in the area. PKK/KCK formed embankments at various depths in front of trenches to make up a series of lines stretching nearly 30 kilometers (18.06 miles).